As a Lego Engineering Instructor, my job is rarely boring. I get to teach kids high level physics, maths, and engineering concepts, not to mention help to develop their imaginations, through play. It is equal parts fun and exhausting! One of my students recently asked if I had ever tried Build with Chrome. I had never heard of it. As he began to describe the interactive site, his face lit up with excitement; I knew that I had to give it a go. The site is not without its limitations. The colors are fairly primary in nature, and the pieces are largely brick based. That said, it is great fun to tool around on. 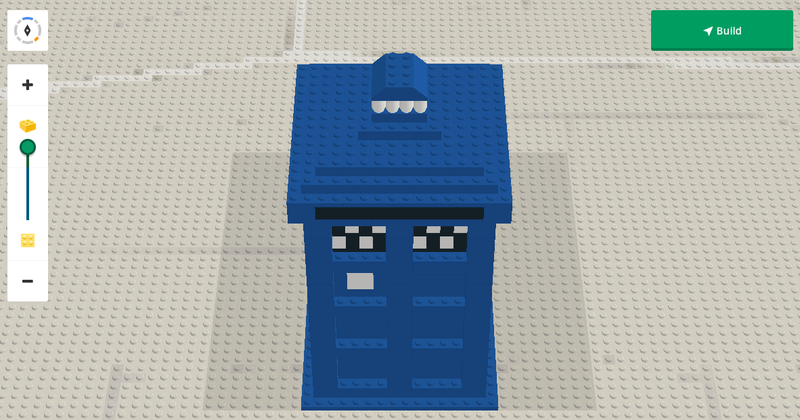 I have found myself building everything from my favorite animated characters (like Stuart the Minion who I normally build as a class mascot) to a mock up scale TARDIS. If you are looking for a fun way to decompress from a stressful day or a way to keep the kids occupied with something other than Minecraft (the other huge digital hit of the year), go build! Tags: architecture, build, dimensions, dr who, education, educational, fun, internet, Lego, math, maths, play, tardis, teaching, tool, toy, virtual. Bookmark the permalink.